As North Korea tests another long range missile reports from North Korea confirm that far from being in crisis its economy is in the midst of a boom. Both the US and Russia say that the Hwasong-14 missile which was launched today is of intermediate range, and is not as North Korea claims an intercontinental ballistic missile (“ICBM”). It seems that whilst the missile can cover all of Alaska it does not have the range to reach the rest of the continental United States. Though this is almost certainly true – and is in accord both with what Chinese and Russians specialists say about the North Korean ballistic missile programme – the fact that the very first test of such a powerful and sophisticated missile appears to have been completely successful highlights North Korea’s growing mastery of ballistic missile technology. This is all the more impressive because rocket technology upon which ballistic missile technology is based is by general acknowledgement one of the most difficult and complex, requiring a highly capable chemical and materials industry, and very high standards of manufacturing and of quality control, to be made to work effectively. North Korea’s success in pursuing a ballistic missile and nuclear weapons programme shows North Korea must have a significant industrial and technology base, which must encompass fields like advanced chemistry and nuclear physics. North Korea’s success in making its own smart phones and tablets and in developing its own apparently extensive intranet (the “Kwangmyong“) suggests it must have a reasonably sophisticated computer and IT industry it can draw upon. Pictures of Pyongyang, which appear from time to time in the Western media, show it to be a highly modern even futuristic city, a significant fact in itself even if Pyongyang is a show-case which is not representative of the whole country. Nonetheless despite these obvious signs of industrial and technological strength and modernity there remains a widespread view that North Korea is a primitive basket-case of a country, with its people struggling in conditions barely above subsistence. Frankly that doesn’t seem fully consistent with the known facts. At a time when the US is trying to squeeze the Kim regime through new sanctions — pressure that is likely to increase as a result of the death of US student Otto Warmbier who was jailed in North Korea — the economy is showing signs of vitality that could make it even harder to exert leverage on Pyongyang. Any analysis of the North Korean economy has to proceed with some caution. Reliable economic data for the isolated nation are scarce and estimates vary wildly. Forecasts for 2015 growth in gross domestic product per capita ranged between -1 per cent by the Bank of Korea in Seoul to 9 per cent from the Hyundai Research Institute. “The challenges of accurately computing North Korea’s GDP are many and are derived principally from a paucity of credible macroeconomic data,” says Kent Boydston, analyst at the Peterson Institute for International Economics. But for close watchers of the reclusive nation, the signs of change are clear. Notably, wages have surged, as has the growth of a moneyed class known as the donju. “The changes are obvious when you go to Pyongyang. There is vehicular traffic and the city has a skyline like never before,” says a former US intelligence official, pointing out the growing use of previously rare items like solar panels and air conditioners…….. The result, according to North Korea watchers such as Prof Lankov, is “a significant improvement in living standards” and economic vibrancy, most evident in the flourishing number of restaurants and markets. Known as jangmadang, these markets — both official and unofficial — have proliferated rapidly in recent years and are now increasingly the norm for purchasing consumer goods. According to a survey of more than 1,000 defectors by the Korea Development Institute, a state-run think-tank in Seoul, more than 85 per cent of North Koreans now use these markets for food, compared with 6 per cent who rely on state rations. Wages have also appeared to increase exponentially in recent years. According to the institute, salaries in the official state sector have increased more than 250 per cent in the past 10 years to about $85 (more than 75,000 North Korean won) a month, while wages in unofficial “side” jobs, such as private enterprises, have boomed more than 1,200 per cent. Lee Byung-ho, then head of South Korea’s intelligence service, estimated earlier this year that 40 per cent of North Korea’s population is now engaged in some type of private enterprise. The Financial Times article highlights an important point about North Korea. The negative growth of -1% of per capita GDP claimed by the Bank of Korea in Seoul, which is so obviously at odds with the true facts, reflects the uniformly negative reporting of North Korea by South Korea’s media and institutions. Many of the worst stories which circulate about North Korea, including the regular tales of power struggles and purges within the North Korean government, of corruption by Kim Jong-un and his entourage, and of economic failure and deprivation across the whole country, originate in South Korea, which has an obvious interest in making these claims. They are nonetheless accepted far too uncritically in the West, where they are regularly reproduced as if they were axiomatically true. If North Korea really is achieving per capita annual GDP growth rates of 9% as claimed by the Hyundai Research Institute, and if salaries really have grown 250-1,200% over the last 10 years, then North Korea has the fastest growing economy in the industrialised world, and its people are seeing the fastest growth in real incomes in the world. That no doubt explains the growing self-confidence of the North Korean leadership and the genuine popularity (as opposed to personality cult) of Kim Jong-un, which even some Western observers are reluctantly admitting. One of the great problems of the West is that it always seem to struggle to recognise or adjust to a change of reality in any particular given situation. Just as the West imposed economic sanctions on Russia in 2014 in the completely mistaken belief that Russia’s economy is a house of cards – which is what it was in the 1990s – so the West still believes that North Korea is a basket case one step away from total collapse, as it also was in the 1990s. The result in both cases is a fruitless search for sanctions in order to tip things over, and anger and bafflement when they fail to work. In the case of North Korea, what the West believes is the ‘magic bullet’ – Chinese sanctions – will never happen on anything like the scale the West wants or which would make a significant difference. Given that this is so the thing to do is what the West has always and consistently refused to do and which the Chinese and the Russians are urging the West to do: open direct talks with Kim Jong-un. In the meantime, whilst the West drags its heels about doing this, Kim Jong-un and North Korea continue to grow stronger, and the military balance in the north east Pacific continues to shift slowly but steadily in their favour. China is obviously behind it. Regardless of China’s critics toward North Korean missile program, there is no doubt both countries have come closer as allies against the hegemon’s meddling in that part of the world. China is investing heavily in North Korean economy and we are witnessing results already. It will be even more obvious in coming years. And I believe Russia also are backing them. How many North Koreans are executed when a [NK] missile test fails? Not near as many as were executed on 9/11 when Mossad, Saudi’s and US Neos’s manufactured that “unifying event” in NY. Even I would say less, than the live lost on the USS Liberty ?? Imagine that….advancement without the Jewish debt money… that is sucking the life out of the west and making it debt slaves. Do they grow poppies in North Korea ?? If no ?? Then they are safe from Democracy ?? US “democracy” can be a heavy burden. White man’s burden ?? Murican’s burden ?? Thank you, I thoroughly enjoyed your post. 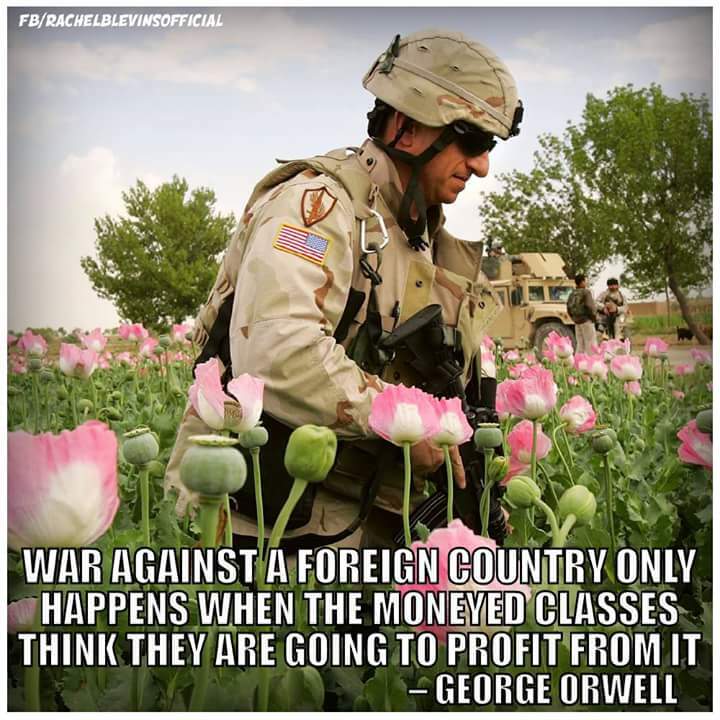 The US Empire , like all empires before it, reach a plateau and then decline rapidly as corruption, greed and military expenditure increase and the quest for stealing other nations property is hastened. With all the Low Hanging Fruit having been stolen by the US the dangers increase and I hope I will see a chastened and reformed US in my lifetime. I LOVE Kim. Thank you Sir for standing up to yankistan and the scum from izrae-Hell. If you think my last 2 divisions are too much, wait 10 to 20 years.